Any craft that is thoughtful and made for a significant other could be a considered a romantic craft. Whether you want to create a romantic craft for your significant other to give as a gift to celebrate a special occasion or just because, there are a variety of craft projects that you can make. Puzzles aren't usually the first thing that comes to mind when one thinks of romance, but a decorative puzzle wreath with a small note letting your significant other know that they make you feel complete makes a creative romantic craft gift. Take old puzzle pieces or purchase a puzzle from a dollar store and spray paint half of the pieces red and the other half pink. Allow the pieces to dry for at least an hour. Lay some of the pieces into a circle, and then use craft glue to layer more puzzle pieces over the first layer. You want to glue each subsequent layer of pieces so they are centered over the space between two pieces in the previous layer, like you layer bricks to build a house. Tie a piece of ribbon in a loop at the top, so the wreath can be hung to remind your significant other how you feel about them. You can give your significant other a love coupon book that will give her the opportunity to be reminded of how much you love her every time she uses one of the coupons. You can fill the book with coupons for all kinds of romantic gestures that you will do for your significant other. Decide how many coupons you want to include in the book and cut that many 3- by 4-inch pieces of card stock, plus one extra piece of card stock for the cover. Decorate the cover with stickers, stamps or whatever else you want to use. Punch two holes 1 inch in from the top and the bottom, both holes 1/2-inch in from the left edge. 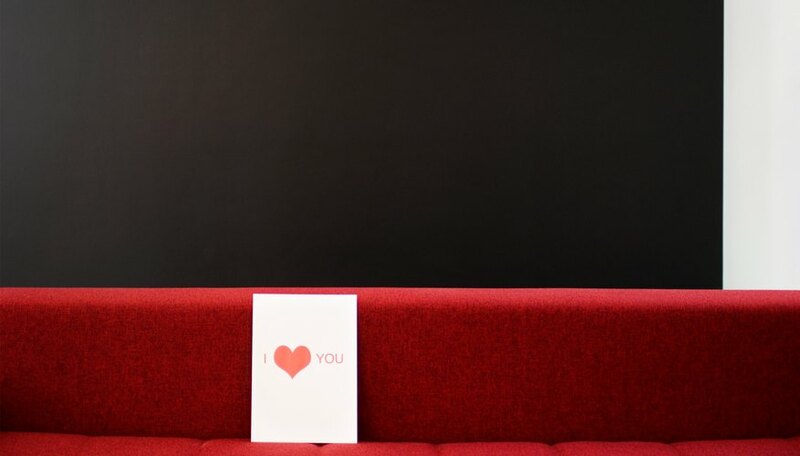 Write different romantic gestures that you will do for your romantic other on each piece of card stock. You can include things like foot rubs, bubble baths, paying compliments or even doing her housework. Line the stack of cards up, so the holes you punched line up and tie a piece of ribbon through the two holes to hole your coupons together in a book. You can create an "I Love You This Much" journal to give to your significant other if you like to journal. This romantic gift you will allow you to tell your significant other about your most cherished memories with him and reasons why you love him. You can continue to build this journal as the years go by, so he will have a constant reminder of why and how much you care. Decorate the front and back cover of a plain journal with decorative love-themed scrapbooking paper and embellishments such as chipboard shapes. Use photo-safe glue to glue different pictures and paper keepsakes from your relationship, such as movie ticket stubs. Then, write a note to your significant other, explaining what each photo and keepsake reminds you of and reasons why you love him. Leave some pages blank, so you have room to add to the journal as time goes by. Patterson, Ainsley. "Easy Romantic Crafts." Dating Tips - Match.com, https://datingtips.match.com/easy-romantic-crafts-5828553.html. Accessed 19 April 2019.